In an attempt to catch the last of the Autumn leaves, I took the train up north to Nikko. 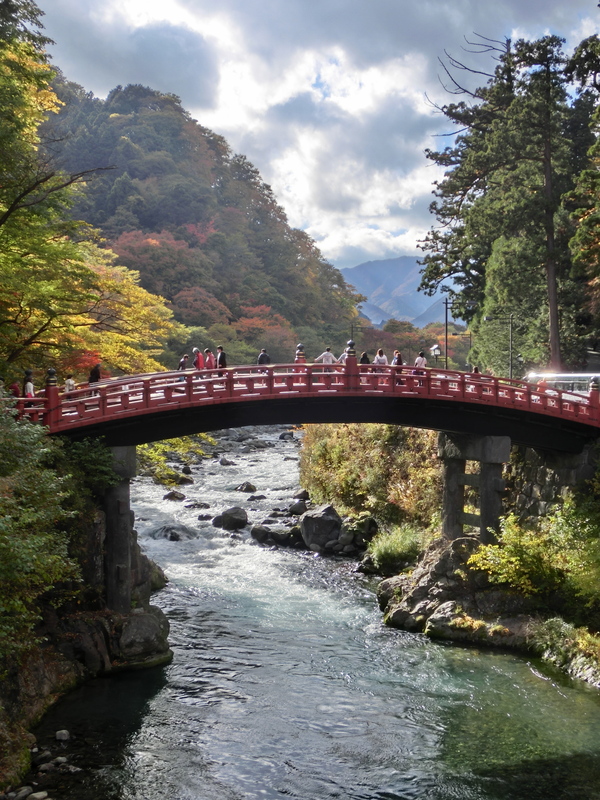 This town at the entrance to the Nikko National Park and is most well known for it’s highly decorated shrines and the scenic, mountainous landscapes . 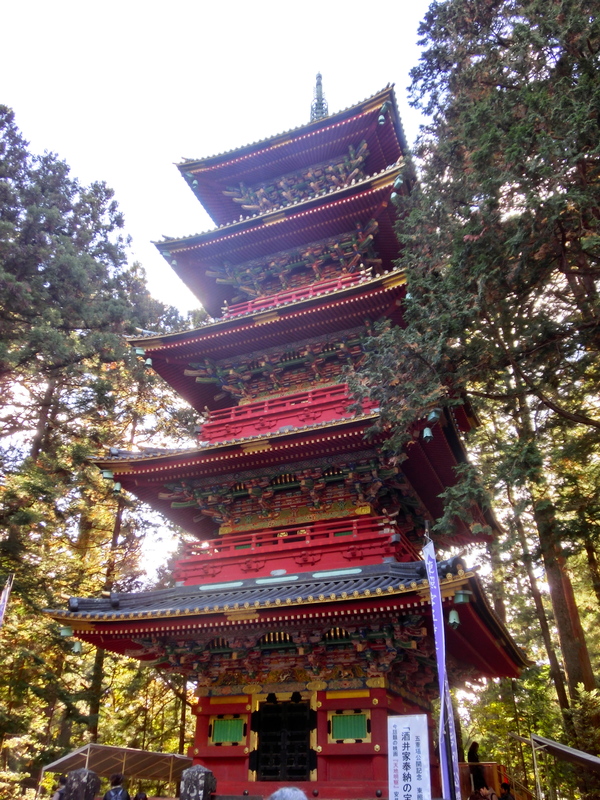 The main attraction is Toshogu – a lavishly decorated collection of shrines and a mausoleum, set in a beautiful forest. Since it’s only a 30min walk (or 10min bus ride) from the station, it’s a great starting point for exploring the area. 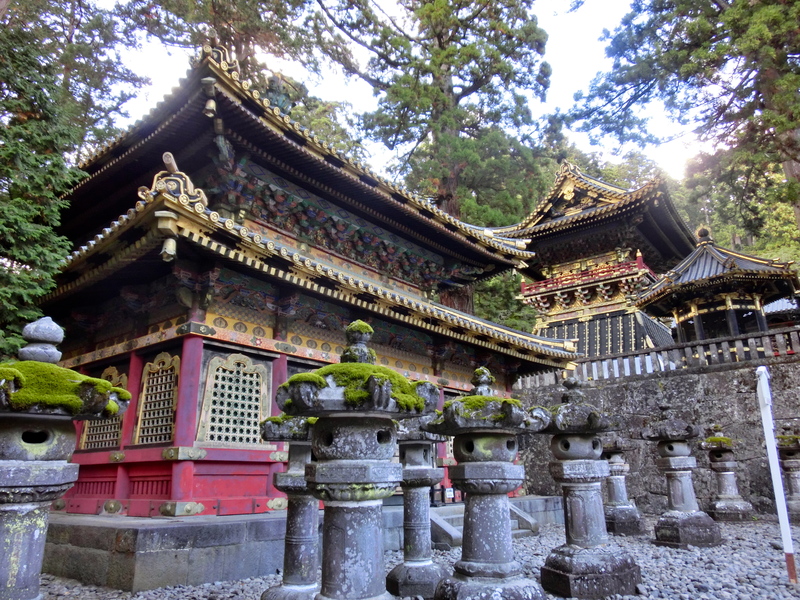 The buildings of Toshogu are covered with coloured and gilded wooden carvings, which are quite a contrast to the often simply decorated shrines you see elsewhere in Japan. 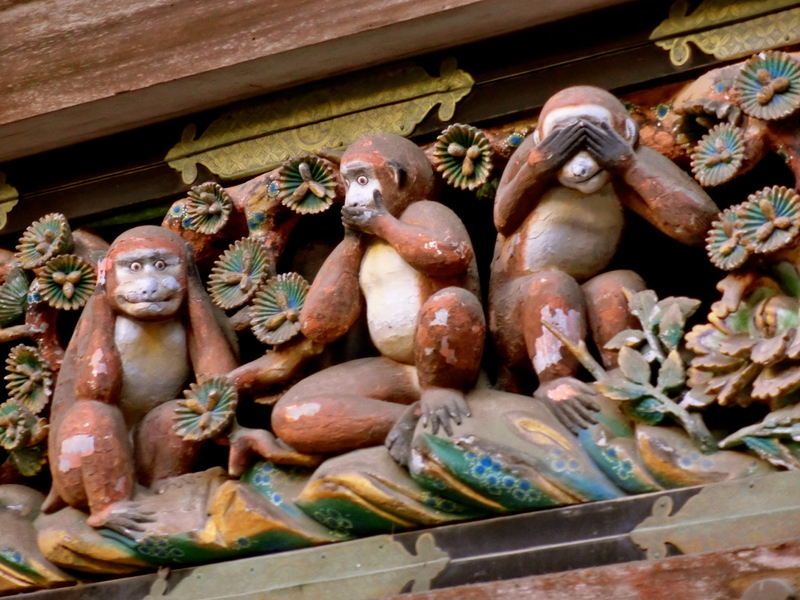 Surrounded by hordes of tourists waiting to take photos is the most famous carving of them all: the three wise monekys! Worth waiting in a queue to see (I’m not sure if Nikko is always so crowded, but there were tons of tourists when I went) is the Honjido Hall with it’s “Crying Dragon” painting on the ceiling. The hall was constructed in such a way that when you clap together pieces of wood beneath the dragon’s head, it makes a ringing/rattling sound due to the acoustics of the room. 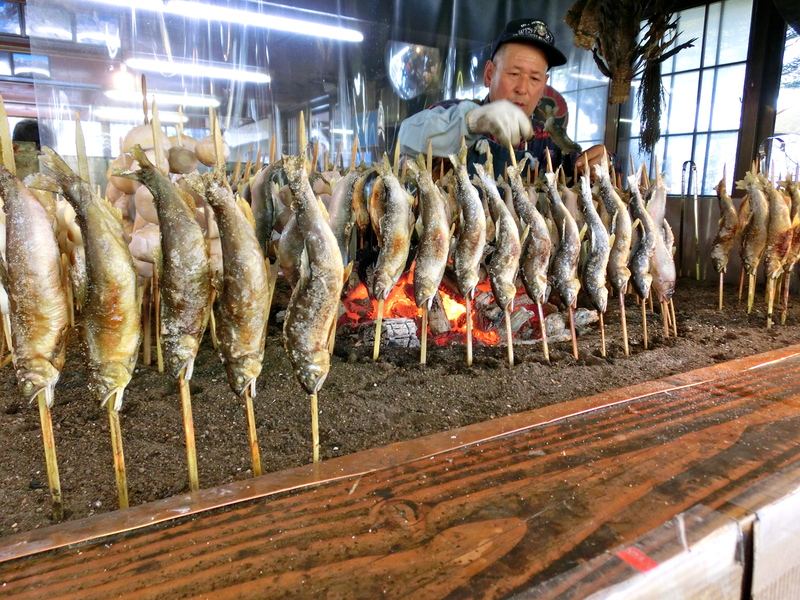 After exploring the other shrines in the area, I took the bus up the mountains to Lake Chuzenji, where I stayed the night at Minshuku Kofuso. This was the only place I could find a room, but turned out to be a lovely (very basic) Japanese style hostel with the most friendly and helpful owners – they even came to pick me up in their car when I got lost in the dark and couldn’t find the place! It was right on the lake shore with great views, and conveniently located between all of the things I wanted to see. While I was a little late to see the leaves (most of the trees were bald by this point…), I spent my second day in Nikko visiting the various waterfalls that feed into and out of Lake Chuzenji. First on the list was the Kegon waterfall, which is the only way water leaves the lake above. 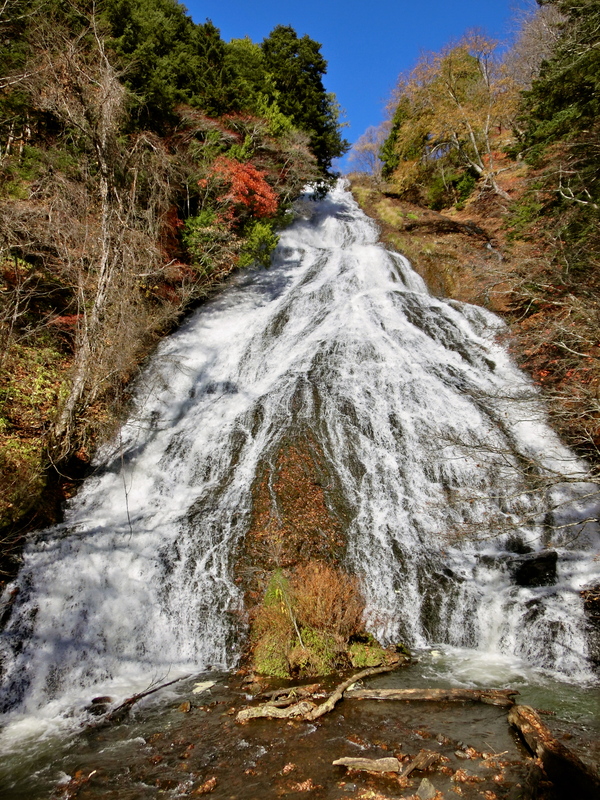 I then walked around the edge of the lake to Ryuzu waterfall – the “dragon’s head” waterfall. Disappointingly, this looked nothing like a dragon. 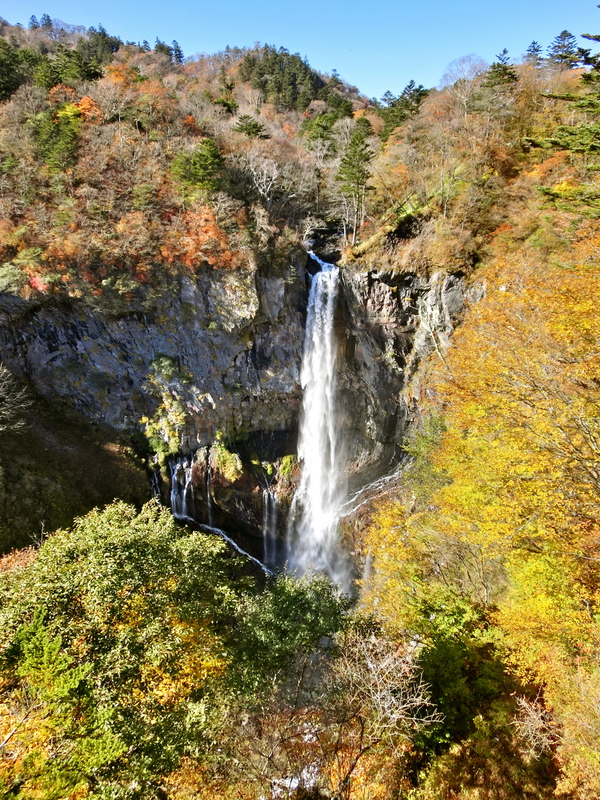 And all the autumn leaves had already fallen off… So I skipped the dragon-themed souvenir shop and hopped on a bus up towards Yumoto Onsen to see the Yudaki waterfall. 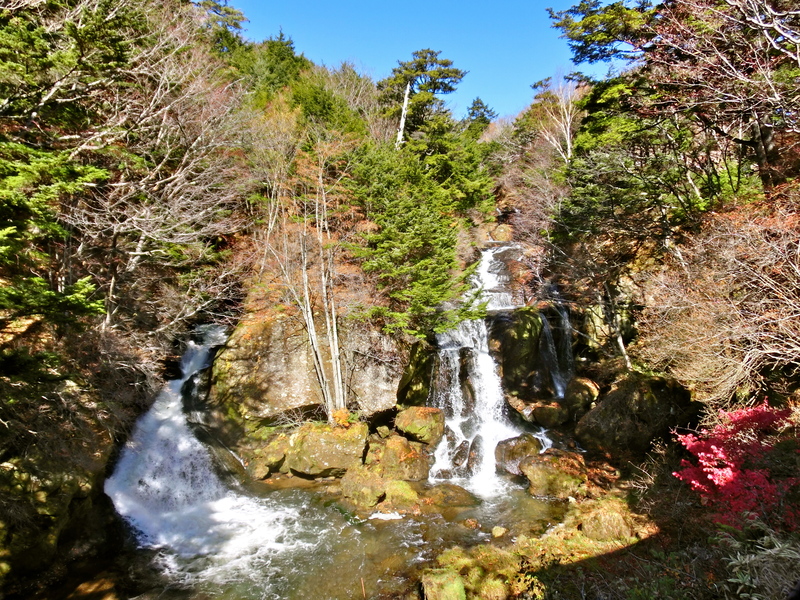 From Yudaki waterfall, there are some great hiking trails through wooded areas and marshlands. If you have the time, it’s worth exploring a bit further from the road. And I also ran in for a quick onsen at the Lakeside Hotel. I wish I’d had longer to spend here as the onsen were fantastic and had gorgeous views out over the lake. Although it gives me a good excuse to go back again! After my quick dip, I joined the queue for the bus back down, which was utterly ridiculous! There were far too many people and far too few buses, so I ended up standing out in the cold for a couple of hours and nearly missing the last trains back to Tokyo… Hopefully it’s not always like that and I was just unlucky in picking a particularly busy weekend. How to get there: taking a Tobu Railways train from Asakusa Station is the most direct and easiest way to get to Nikko. 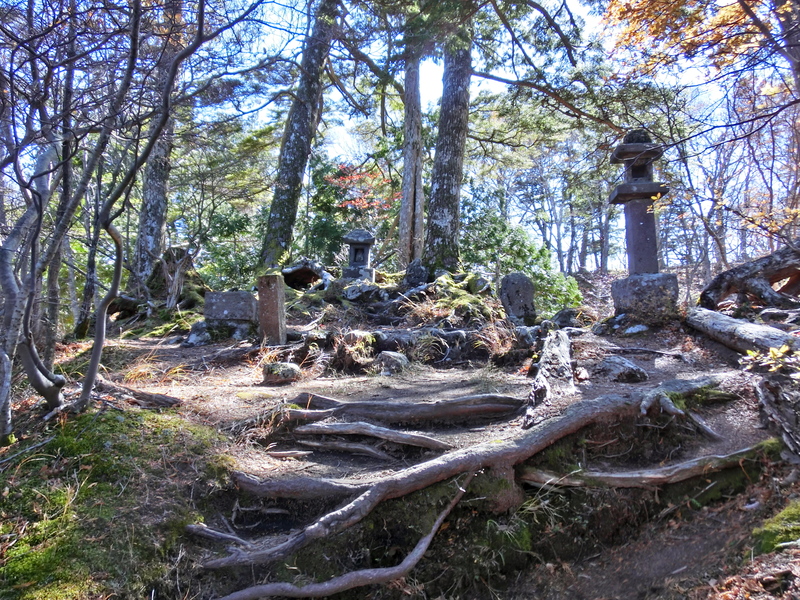 Nikko was one of my favourite places to visit when I lived in Japan. It’s such a beautiful and peaceful place to visit in all seasons.